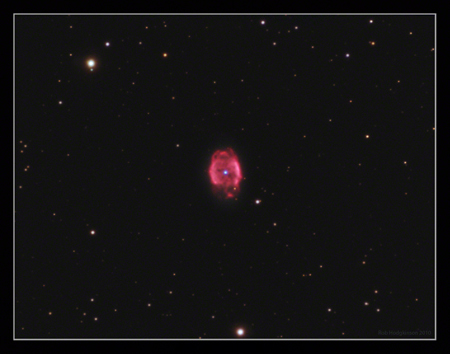 There are quite a few planetary nebulae in the Cygnus/Cepheus area, and I was scanning through them one night when I came across this one, which looked worthy of closer inspection. As it's pretty small, I used a 2x Barlow lens to increase my focal length to F16, and shot some 4 minute subs of it (seeing was pretty bad, and 4 minute subs were about the longest I could go without too much blurring at 2400mm focal length). At that focal ratio, my 6 inch scope is very slow, so what I caught was pretty faint and I didn't catch any of the fainter nebulosity, so I may well revisit this object with a larger scope at a later date. It is about 1 light year across, and lies 3500 light years away from us, in the constellation of Cepheus. It was discovered by Sir William Herschel in 1788. 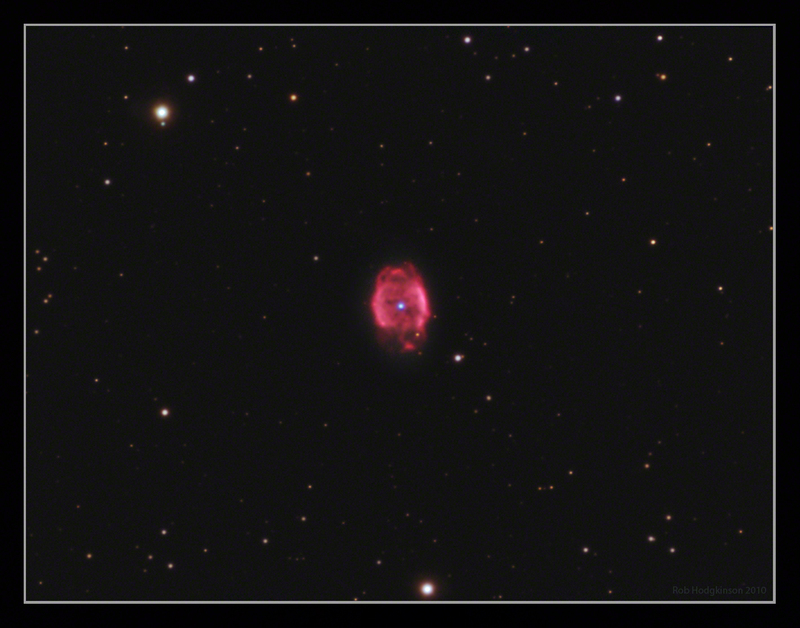 A H-alpha luminance layer was used. Ha x 10, R x 11, G x 11, B x 17. Total imaging time. 3 hrs 16 minutes.